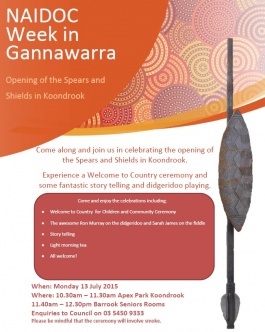 Join us in celebrating the launch of Shields and Spears in Koondrook on Monday 13 July. Artists Aunty Esther Kirby and Troy Shackleton created the work, as well as delivering community workshops in local schools with our Creative Arts Facilitator Kim Bennett and the Gannawarra Shire Council. The launch event features a Welcome to Country ceremony, storytelling and didgeridoo playing, and a light morning tea will be provided. For enquiries contact the Gannawarra Shire Council on 03 5450 9333. Please be mindful that the ceremony will involve smoke.